City mayor Michael Bloomberg ordered the evacuation and transit shutdown in anticipation of Irene, stating "You only have to look at the weather maps to understand how big this storm is and how unique it is, and its heading basically for us." The storm has similarly canceled a variety of events over the weekend from Broadway shows to ballgames to concerts and an outdoor film festival at Lincoln Center. Subways have been shut down out of fears that high winds could rock cars off the tracks when operating above the surface. The transit shutdown would have a major impact on Apple Store employees' commute, and also impede customers' ability to get around in the dense, transit friendly city. Four Apple Store locations in New York City have confirmed they will be closed for the weekend: SoHo, Staten Island, Upper West Side, West 14th. 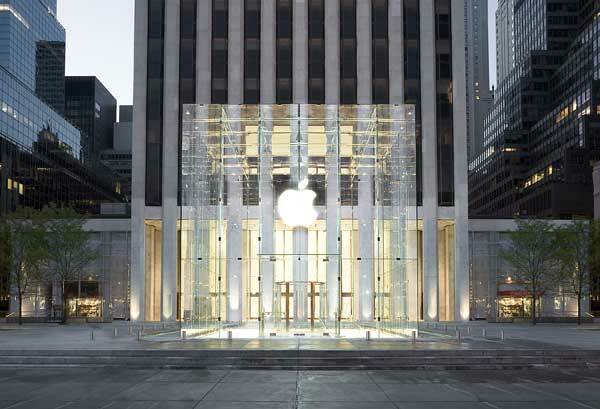 Update: Apple has announced on its website that its flagship Fifth Avenue will be closed beginning Saturday, Aug. 27. "We look forward to reopening Monday," the store's page reads. The Fifth Avenue store (pictured below) is not located within the coastal evacuation zone.